It's official! Echosmith's infectious single "Cool Kids" has been certified Double Platinum by the RIAA for sales exceeding 2 million units. The band are currently out on their first nationwide headlining tour. Dates can be found below. 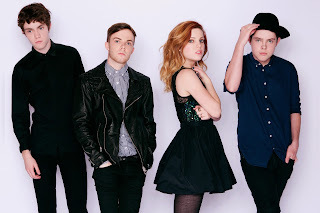 "Cool Kids" is taken from Echosmith's stunning debut album Talking Dreams which is available now via Warner Bros.